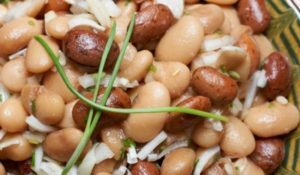 Bean Salad - 90-Day Diet Rocks! The recipe for bean salad is suitable for consumption for lunch or dinner on Starch Day of 90-Day Diet. Mix all ingredients together and that’s it. Put the salad in refrigerator for 30 minutes. Serve it cold.